This past Saturday I had the pleasure of singing in an a capella quartet for a dear friend of mine, Leanne, for her wedding. Leanne and her husband, Jeremy, are both accomplished musicians and they both have just finished up a Masters in Music from the Eastman School of Music in Rochester, NY. They were both back in town to take their vows in front of family and friends and one of the most interesting things at a musicians' wedding is their choice of music. They had an endless supply of potential performers, since many of their friends are musicians themselves, so it is always interesting to see what the musical program will be like. There was lovely piano playing by Bob, an excellent pianist who was my first accompanist when I started singing in choir. Leanne also had a violinist friend compose and play a song, "Leanne's Air," for her walk down the aisle. During the signing of the registry, she chose a vocal quartet to provide background music. Leanne asked me a few months back if I would consider singing in the quartet for her. I heartily consented and was paired up with three other musicians. The soprano, Nadia, I knew well as she is one of my close choir friends. The tenor and bass, Ryan and Kyle, I was less acquainted with even though I toured with them to Ireland 2 years ago with the Madrigal Singers. You may be wondering how I claim not to know them well even though I toured with them. As anybody in choir can attest to, it is difficult to get to know everybody equally well. Ryan and Kyle were also alumni members who came back to choir specifically for the tour (since we needed more singers); therefore, they were not with the choir for the whole choral season. However, I do remember many funny moments with them on tour such as when they were lamenting how long it takes denim and thick socks to dry after a hand washing session in the bathtub. They managed to cover every piece of furniture in their room with damp laundry and waited for the moist Irish air to be forgiving and dry their laundry before we had to move accommodations the next day. It was lovely to see them both again during the wedding rehearsal and I knew it would be interesting to all sing together for the first time. I had no worries at all about the music. Both Ryan and Kyle are professional choristers and are often paid to perform and learn music quickly. Nadia is used to learning and performing music rapidly as well. I was curious to hear what we sounded like and I was not disappointed! Of course, there was not enough time to pour over every small detail in our piece, Jesus Christ the Apple Tree by Elizabeth Poston, but we all had our ears open and were able to successfully make our way through the piece. There was one phrase where we decided not to take a breath; however, as soon as we saw someone start to take a breath in the aforementioned spot, automatically, we all took a breath to follow suite. It is moments like these that just make me smile since it is amazing at how receptive you can be to the singers around you! It was like a group reflex to all take a breath and correct that moment since it rarely sounds like a mistake when everybody else around you is doing the same thing. An interesting choral trick to note. The wedding performance went extremely well. I would be lying if I said it was perfect since there was a moment or too when I was too caught up in looking at the audience and I almost started singing with the wrong consonant. Thankfully, it was nothing too major since I caught myself quickly enough. It always pays off to listen to what your fellow choristers are doing. It's a tough balance sometimes because you want to be an engaging performer and communicate what you have to say to the audience, but when you have only run a song 2 times before, there are still small technical errors that have the capability to surprise you. Overall, I wish Leanne and Jeremy all the best as they head off to Montreal to build a life together. I can only ponder now which wedding I will get to sing at next. I absolutely love this post. I love everything about choristers and this blog just made me respect them even more! That seemed like a very fun wedding! I love, love, love singing "Jesus Christ, The Apple Tree". What an amazing piece of music. 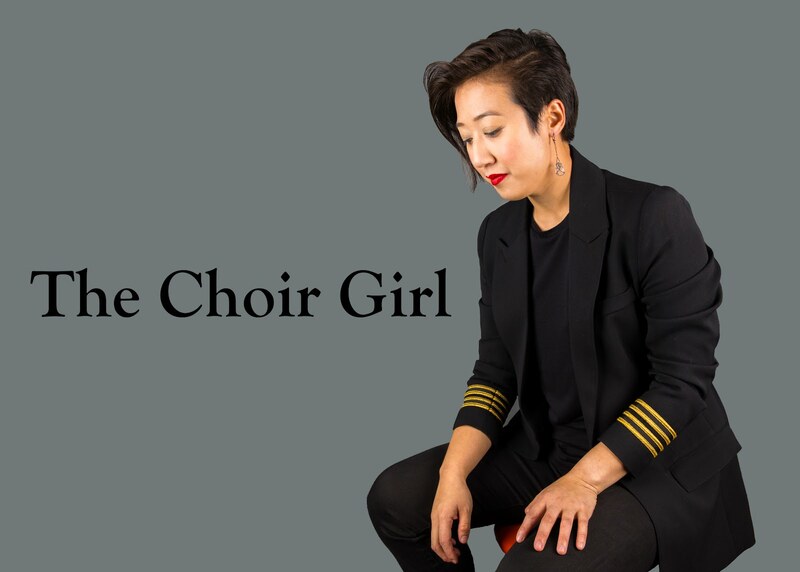 This is an amazing blog that really captures the essence of being a choirester (spelling?) Congradulations on the wedding and being a blog of note! Swagbucks - search and win! It's another way of doing google searches (you'll get the same great results) but you get points/swagbucks for some of the searches you do and then you can redeem your "bucks" for different prizes/gift cards. Plus, you'll get 3 swagbucks just for signing up!! Looks like a great wedding - nice pictures also! I love great horal singing :-) Thanks for your post. The wedding looked fun.